I recently made an escape to Jenner Beach with my family. It’s one of my favorite beaches to visit along the California coast. 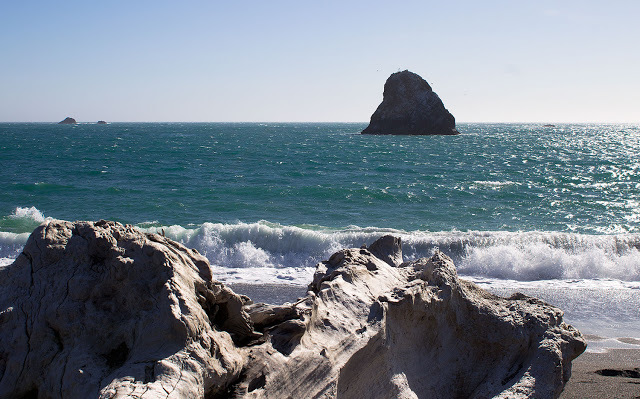 The Russian River meets the ocean and it has a unique ecosystem. I would love to rent a kayak someday there and paddle up to the mouth. The seal pups swim right up to your kayak to investigate and to say hi. Another place I love to visit is the 17-mile drive in Carmel. I am always captivated by this old house along the drive. You can walk around it and look inside the windows. 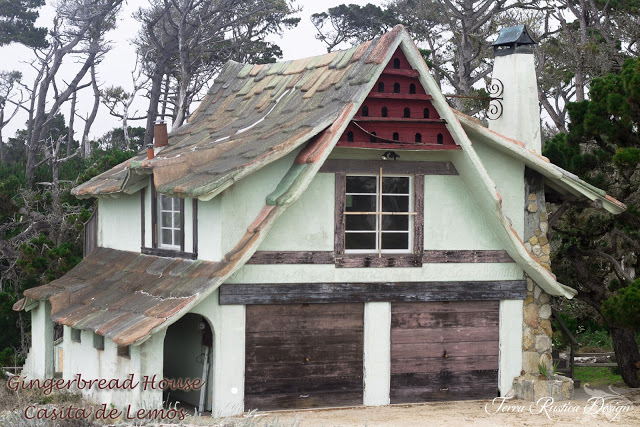 Here are a few cool facts about the cottage: The cottage is known as both the Casita de Lemos after Dr. Pedro Lemos, and the Ginger Bread House as it resembles depictions of a cottage from the fairytale Hansel and Gretel. Built by Prof. Pedro Lemos in 1944. He was a painter, printmaker, architect, illustrator, writer, lecturer, longtime director of Stanford Museum of Fine Arts. The house is multi-colored with a very steep roof pitch. The cottage has a small studio located in the storage area. So cute right! 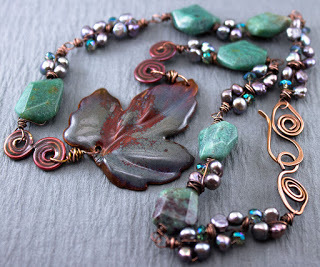 I can imagine finding different kinds of sea shells, weathered tiny branches and twines and coming back to the studio to make wearable beach art! 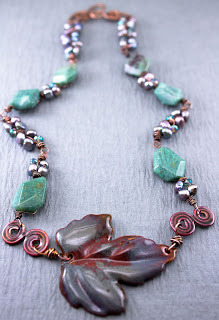 I was inspired by the cottage and named this necklace after the Casita De Lemos. I pulled the various colors of the house and wove in pearls, crystals, and new African jade faceted nuggets. 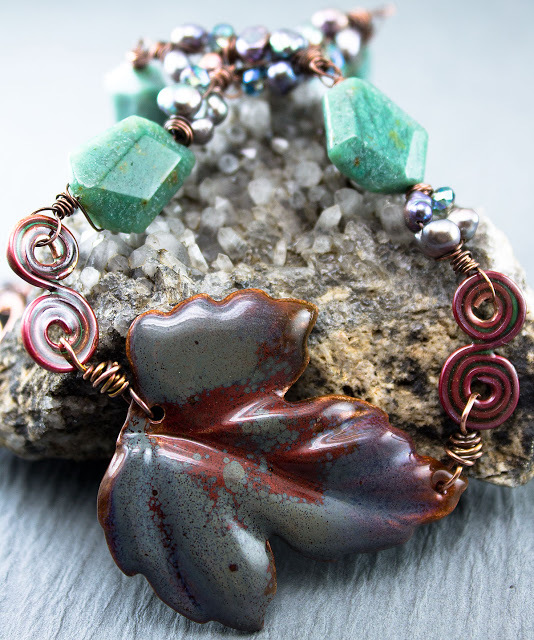 I enameled a large heavily detailed leaf and copper wire that is wrapped to resemble the rise and fall of the tides. Design soon to be listed in my Etsy shop!